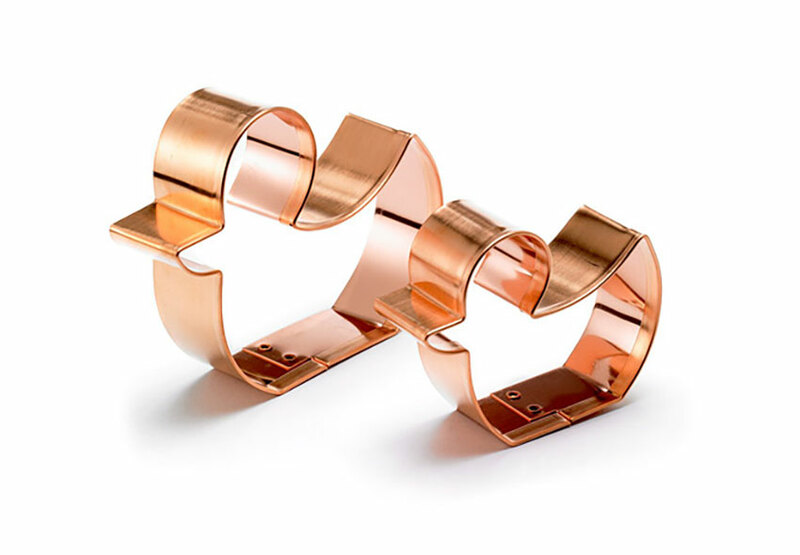 Chefs of all ages will find our polished copper cookie cutters irresistible, no matter what kind of cookies they bake. The set of two (momma and baby duck) comes packaged with the official Peabody Duck Cookie recipe so you can bring the taste of The Peabody home. 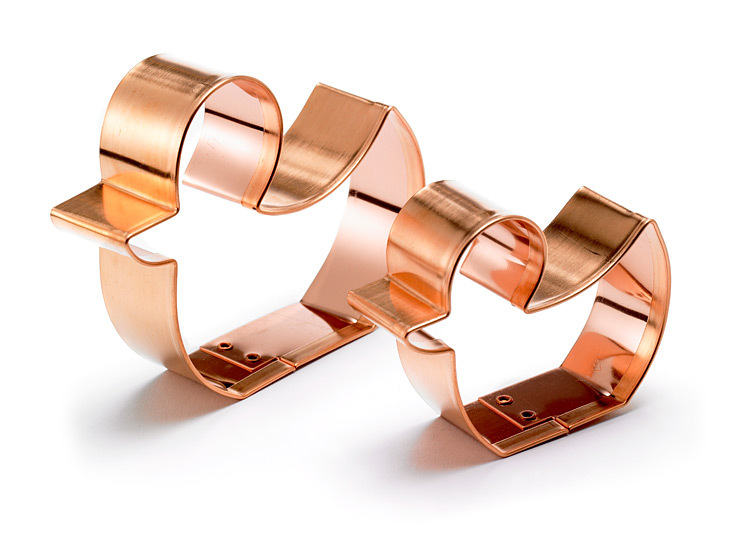 When the baking pans are put away, these handcrafted copper cookie cutters will add charm to your kitchen decor. In a stand mixer with the paddle attachment, soften almond paste. Add in butter and mix until soft and smooth. Combine mixture with sugar, salt, vanilla and lemon zest and mix until fluffy. Mix in flour until completely combined. Store in refrigerator for four hours or overnight. After chilling the dough, roll out on a smooth surface to ¼ inch thick. Cut out duck shapes and place on cookie sheet lined with parchment or wax paper. Bake 350 degrees for 12 minutes or until golden brown. With a stand mixer and paddle attachment, soften almond paste. Add sugar and mix until combined well. Slowly add in egg yolk and mix until completely incorporated. Mix should be fairly thick but not too firm. Test with a spoon or spatula. If too thick to scoop out, add a little more egg yolk (you don't want mix to be runny as you need to pipe). Place paste in a pastry bag with a small star tip. Pipe around border of duck cookie and set aside to dry for at least 8 hours. After drying, bake in oven at 400 degrees until paste is lightly brown. After cookies are cool, heat raspberry jam/marmalade in saucepan, over low heat, until smooth. If still not smooth, add a small amount of water to smooth. Pour over middle of duck cookie to fill in cookie. Let cool. While you wait, melt the chocolate coating in a bowl over a saucepan filled ¼ full with water. Then dip each cookie into the chocolate halfway up the cookie and place on parchment or wax paper to dry. Most items ship within 24-48 hrs. Expedited shipping options are available at checkout. View our Shipping Policies for more details.